All alone for Valentine's or forgot to send your mom a card? 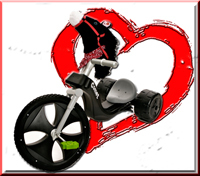 Then sign up to get your FREE Big Wheel Biker Gang Valentine's Day card, signed by your favorite BWBG member and mailed to your house! Yes, you have to choose one member... and no your information won't be used for anything but sending your card... unless you want to invite us over for dinner. Wondering what to do with your big wheel this winter? Try Big Wheel Skiing or just watch the video of Johnny Dynamite and The Who crashing their big wheels on the slopes! And finally, the Bunny Cam returns back to every Wednesday with special guest Atticus. 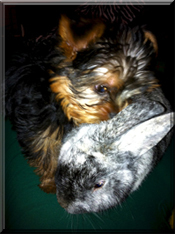 So, when you're really bored at work, you can watch the even more boring life of a bunny and a 3 month old puppy! Enjoy Super Bowl Sunday! Go Browns!